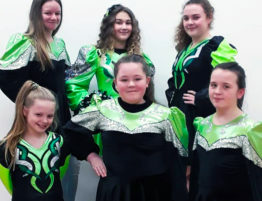 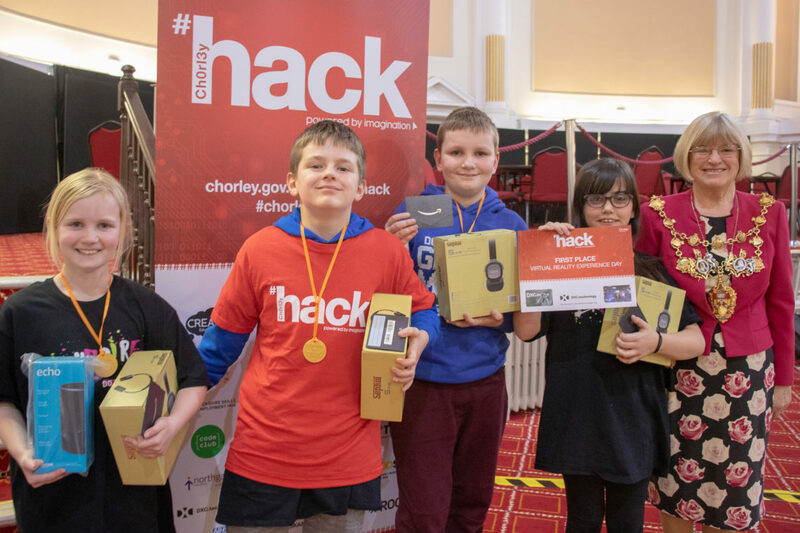 FOUR Junior members of Inspire Youth Zone entered their small team into the Chorley Hack competition earlier this month, hosted by Chorley Council, winning their group and each taking home a prized tech bundle. 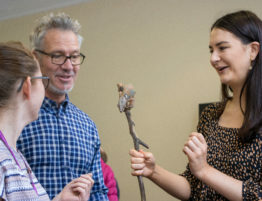 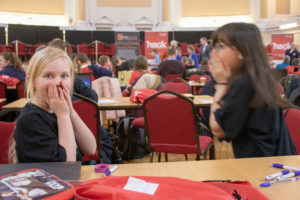 Chorley Hack is a free coding competition for 9-13 year olds in Chorley which saw 14 local schools and Inspire Youth Zone attend Chorley Town Hall for a fun day of coding with the aim to hack a solution to a digital challenge. 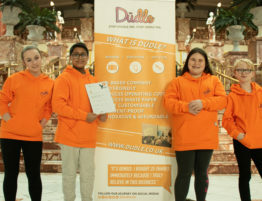 Due to the incredible popularity of the event amongst schools and young people in the area, a number of students missed out on their school teams, but these four young programmers had a second chance to enter the competition after flexing their talents at Chorley Youth Zone. 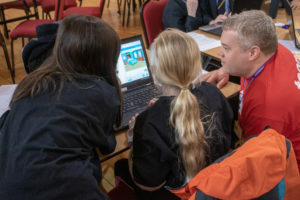 The task on the day was to code something that explored cyber safety and the dangers that are prominent online for young people in the UK. 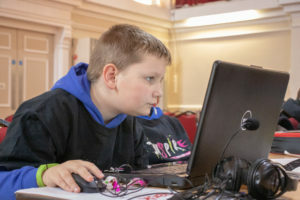 The “Inspired Hackerz” decided to use online coding software – Scratch – to code a number of mini-games including an online quiz and a Flappy-Bird-inspired game in which the user would navigate a sprite through static pillars propped up by nasty words. 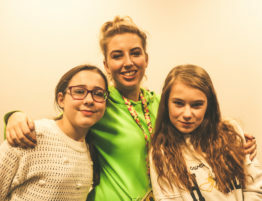 After a short presentation, the young coders were delighted to hear that they’d won first place in their group. 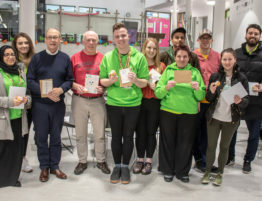 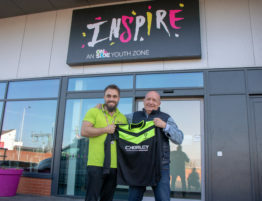 The victory also saw them take home a £5 Amazon voucher and pair of wireless headphones each, as well as a Virtual Reality Experience Day and an Amazon Alexa to keep at Inspire Youth Zone. 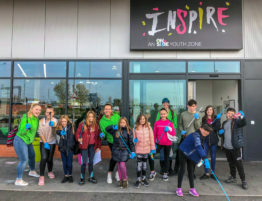 Described by one team member as “the best day of their lives”, it was clear how proud the group were of themselves and the resilient teamwork they showed at the event. 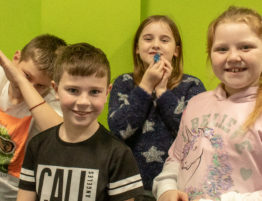 The group plan on renewing their membership at the Youth Zone this year so they can continue to meet at Code Club on Tuesday evenings and improve their coding skills even further.